Happy Fourth! The Fourth of July plays a significant role in The Cusp of Everything - the book begins on July 4, 1975 and ends on the Bicentennial. 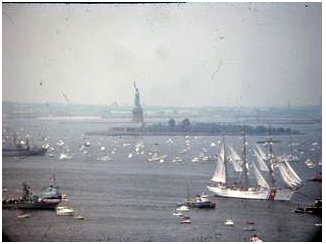 The above shot shows the Tall Ships (and some not-so-tall) in the harbor in 1976. What an amazing celebration!